Thursday, February 14 at 6:30 PM – Click here for tickets! From oyster flavor profiles to beverage pairings—this class covers all you need to know about a romantic pairing for Valentine’s Day. 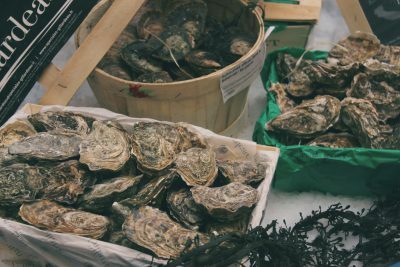 You’ll taste bright and sumptuous wines that compliment these briny beauties before getting down to business and shucking your own oysters.